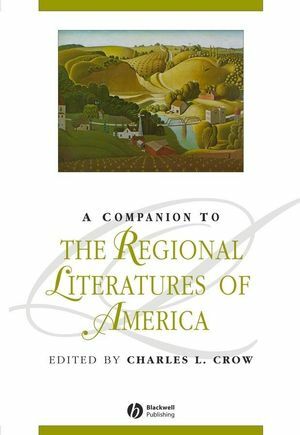 The Blackwell Companion to American Regional Literature is the most comprehensive resource yet published for study of this popular field. The most inclusive survey yet published of American regional literature. Represents a wide variety of theoretical and historical approaches. Surveys the literature of specific regions from California to New England and from Alaska to Hawaii. Discusses authors and groups who have been important in defining regional American literature. Charles L. Crow is Emeritus Professor at Bowling Green State University in Ohio. He is co-editor of The Haunted Dusk: American Supernatural Fiction, 1820-1920 (1984) and The Occult in America: New Historical Perspectives (1983), and editor of American Gothic: An Anthology (Blackwell Publishing, 1999). He has been president of the Frank Norris Society, and a member of the executive council of the Western Literature Association.